Boil the eggs and remove the shell..Keep that aside. Heat oil in a pan add curry leaves,onion,ginger,garlic,green chillies and saute well. Saute till onion become light brown colour . To this add chilli powder,coriander powder , turmeric powder and garam masala powder and mix well. Saute until the raw smell goes ..
Now add chopped tomato and cook well till the oil comes out ..
Now pour a cup of boiling water and cook this mix on a simmer flame to a thick gravy. Then add thick coconut milk and mix and stir continuously for 2 to 3 minutes ..Check the salt ..
Make gashes in the eggs and add to the gravy,pour some sauce on each egg and allow to cook for another 5 minutes in low flame or until the gravy thickens .. 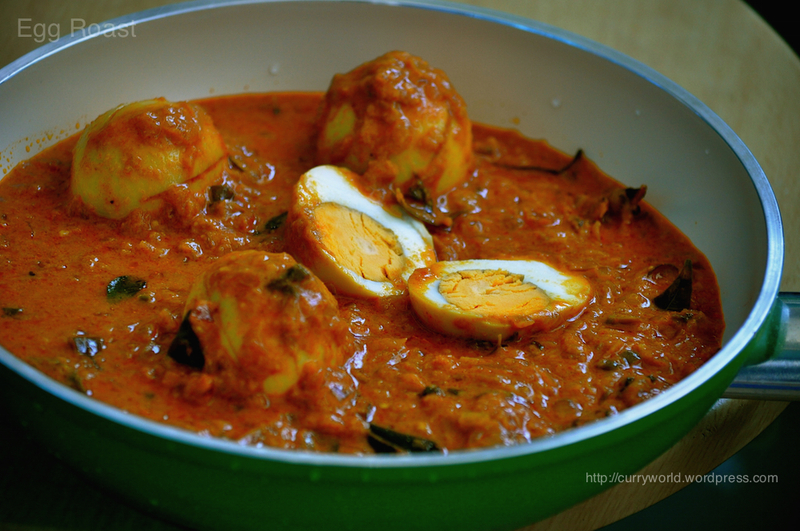 Egg roast is ready to be served with Palappam , chappathi…..
first let me congratulate u for such an awsome blog. 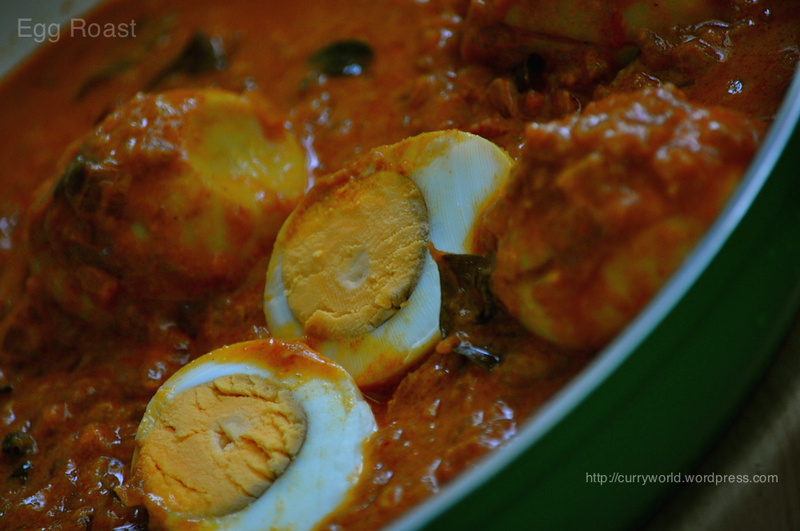 it helping me a lot.i tried ur egg roast with vellappam..
it was very tasty.will try all of ur recipes. i tried making this today but accidentally i added extra spoon of ginger garlic paste. is there a way to neutralize the taste? sorry yaar .. was on a holiday so couldnt reply to ur message …so what did u do for that ? 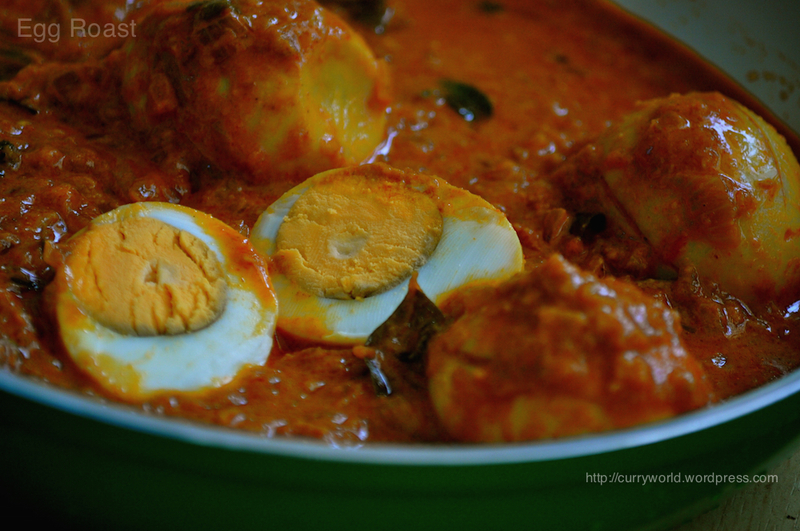 i tried adding some coconut milk..but still the excessive taste of garlic was there…..do u know any tips for it?? ?